XTec, a U.S. company that provides authentication and security solutions, was awarded a new contract to support the U.S. Department of Defense’s Common Access Card program. The deal marks the second time the company has engaged in such a partnership with defense officials. The contract, a five-year blanket purchase agreement, has a ceiling value of $82 million. 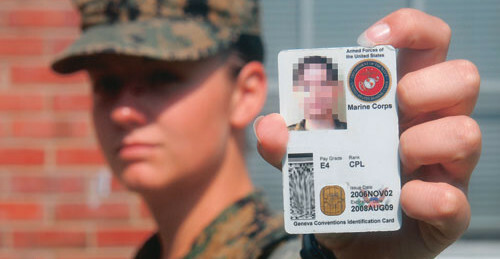 The agreement calls for XTec to “supply cardstock, middleware and electromagnetic sleeves for smart cards” to support the Common Access Card, the ID program used by active military members, reserves, Department of Defense civilian employees and contractors. XTec was the only company awarded a blanket purchase agreement to supply cardstock. “It is the second time we have earned this partnership with the Department of Defense, and it validates our end-to-end methodology where our solutions support the entire HSPD-12 and FICAM lifecycle from credentials through issuance, maintenance and usage,” says Ben Andreas, XTec director of sales. HSPD-12 is a Homeland Security directive that deals with personal identity verification cards; FICAM refers to the Federal Identity, Credential and Access Management architecture. XTec said it worked with smart card suppliers Oberthur Technologies, Gemalto and Giesecke & Devrient America to provide smart cards that are compliant with the FIPS 201 standard and all Department of Defense requirements. The company reports that it has provided 15 million smart cards to the federal government in the last 15 years. The new blanket purchase agreement comes from Department of Defense’s Defense Manpower Data Center (DMDC) — with which XTec has partnered for the last five years on the program. “Fulfillment of these task orders will allow DMDC to secure resources by using smart cards for government employees, contractors and military personnel while meeting Department of Defense personnel identification requirements and moving to the next generation smart card,” the company says. The blanket purchase agreement also enables the DMDC to use AuthentXware, XTec’s middleware bundle, along with related licensing and support. “AuthentXware is smart card lifecycle management software that allows the user to maintain their credentials from the desktop, preventing the need for frequent travel to an enrollment or issuance station,” Andreas says.